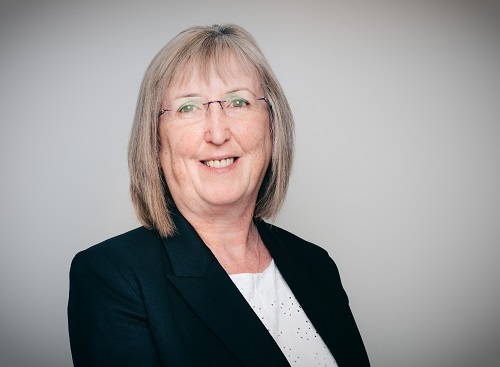 "He told me quite bluntly that I would be leaving to have babies"
With more than 40 years of industry experience under her belt, it’s sadly not surprising that Tasker Insurance Brokers acting managing director Ann Bowyer (pictured) had to encounter gender bias when she was starting out. Thankfully, the evolved attitude towards female colleagues is the most significant change she has come to witness in her career. Here, Bowyer shares her journey with Insurance Business, as well as her plans for the new Tasker Insurance Group unit and her advice for young executives. What made you pursue – and stay in – a career in insurance? Like most people, I just sort of fell into insurance after leaving school. I was on a two-year formal A-level training programme with Sun Alliance and had the opportunity to go away on courses to London, which was very exciting when you are 18, and I met lots of great people along the way. It was really enjoyable and that is what has made me stay in insurance – the people. Even with all the advancement in technology, it’s still a people business. In your four decades of experience, what would you say has been the most notable change in the industry? I would say there have been two notable changes in the time I have been in insurance. Obviously, the changes in technology have been dramatic. Technology has allowed our industry to be innovative in so many ways – having said that, it is still more satisfying to discuss a risk with a real person rather than just relying on insurer portals. The second, and for me the most important change, is the attitude to women in the workplace. Although I was on a fast-track training scheme at Sun Alliance, I remember my manager calling the blokes in the team together to discuss their future. I asked why I wasn’t included and he told me quite bluntly that I would be leaving to have babies, so there wasn’t much point in including me or any of the other girls! That was my cue to really push on with my ACII studies and look elsewhere for a more forward-thinking employer; in the mid-80s insurance companies were starting to put emphasis on qualifications and my career just accelerated from there, working for much more dynamic companies. I’ve noticed a huge increase in the number of women in the industry in decision-making roles over that time and even when you go to CII dinners, the balance is more even – I was one of three women at my first institute dinner. However, there are still too few women at the top, I don’t believe in quotas but, at the same time, your gender should not be allowed to hold you back. What have been the biggest challenges for you in your current role? I was appointed in my current role in January and spent the first few weeks meeting with insurers leading up to the merger of our retail business. The challenge for us was securing their support and partnership, as our branches had been operating as separate limited companies and none of the insurers realised that we were as big as we are. 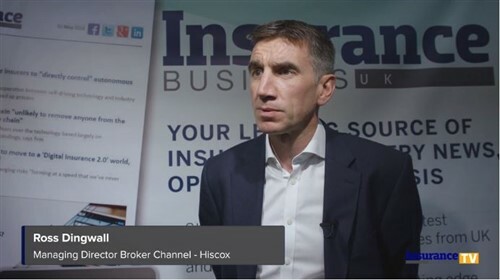 Once we started the discussions, we were able to make a lot of progress in a short space of time and working in partnership with our chosen insurer panel is key for us being able to realise our vision of growth for the business. I would also have to say that, culturally, it has been a challenge to bring the different branches together, working out the best practice from each business and ensuring everyone knows exactly what their role and objectives are, and the part they will play in achieving our group strategy. Fortunately, this has been a massive success, the integration of processes from both sides has left us in a much stronger position than before and our inaugural Tasker conference in June was instrumental in bringing everyone together in one place for the first time and seeing them all gel as a team. This puts us in a great position to push forward with our expansion plans. As I said, it’s still a people business. What do you envision for the newly formed Tasker Insurance Brokers? Now we have the strategy in place for our newly merged business, we want to build on that and we’ve many exciting plans for new business growth. We also want to ensure our people are the best they can be, so I’m encouraging the younger ones in particular to get their qualifications and take full advantage of the training that’s on offer from our partner insurers. We have three branches currently and want to build that to around eight. We want to ensure that as we make acquisitions and integrate them into our business, they are on board with our vision and culture from the outset; this way, we can achieve great things going forward. If you were to swap jobs with anyone, with whom or in what industry? One of the things I like to do when on holiday is try out Michelin-starred restaurants, both in the UK and abroad. This can be quite an expensive hobby, so I would be a food critic and get to travel, try out new restaurants, and get paid for it! Name one thing your insurance peers probably don't know about you.